The Export Import of Garments Products is a vital matter of a Garments company. It increases the opportunity for entrepreneurship development in garment sector. Thus it helps the unemployed people as well as the government to remove unemployment problem and also play an important role in the economic development of the country. The overall approach of the report is to focus on the Export Import Activities of Garments Products strategy and the way by which it attracts the foreign customers to sale products abroad. TM Fashion is a 100% export oriented company. Export Import process provides to increase the reputation of the company. The domestic market for readymade garment was virtually non existent in Bangladesh until the sixties. Large scale production of readymade garments (RMG) in organized factories is a relatively new phenomenon in Bangladesh. Until early sixties, individual tailors made garments as per specifications provided by individual customers who supplied the fabrics. In addition to economic contribution, the expansion of the RMG industry has caused noticeable social changes by bringing more than million women into labor force. Tm Fashions Limited is an 100% export oriented Readymade Garments industry for production of fashionable and quality all kinds of woven dress. Our mission is to produce top-quality garments that models fair business practices and respects workers rights. Government is sincerely committed to fostering a gradual development of free market economy in the light of GATT agreement. In the interest of export promotion & investment in the country it is necessary to have a long term, stable, facultative & liberal Import Policy. Now a day the TM Fashion is facing a lot of challenges because of changing demand of world. Besides this many competitors are also a main factor that makes this sector challenging. So TM Fashion should take proper step to survive properly in this sector by removing their weaknesses. They should give authority to take independent decision at high level officer. If that, the company can be benefited because of taking decision the work some time delay. They should justify competitive key factors in the management practices like cost, product quality, image & reputation, distribution & control of resources, capabilities etc. Project for three months in private business organizations, government offices, public corporations, Bank or other not- Bank but financial institution is an integral part of the MBA program of the business faculty of the PrimeUniversity. The objective of the program is to expose the students in the organizational work situation. Each student is required to undergo the program & prepare a report according to a format specified by the supervision teacher. As a regular student of Bachelor of Business Administration (MBA) program, is requires an Project of three months attachment with an organization followed by writing and submission of a report. This report is end result of an Project attachment with one of the top graded Export oriented Composite Garment in Bangladesh the TM Fashion. As per the advice & recommendations of the honorable supervisors Mr. Mahedi Hassan, the main concentration of the report is Garment Industry of Bangladesh particular reference to Export Procedure. This report focuses on the practices of export system of the TM Fashion. This report will obviously increase the existing idea of export procedure rendered by the TM Fashion. The objective of the Project report is to gain practical knowledge about the over all business actives of different divisions of the TM Fashion with special attention to the export procedures of the organization. Selection of the topic: The topic of the study was assigned by the respected supervisor. While assigning the topic necessary recommendations and suggestions were provided by the supervisor to make this Project report a well organized and perfect one. Identifying data sources: Essential data sources, both primary and secondary, were identified that would be needed to carry on the study and complete this report. Annual reports of the TM Group Ltd.
Company profile of the TM Fashion. Data collection: primary data were collected through direct and face to face interview of the different personnel of the TM Fashion. Classification, analysis, interpretation and presentation of data: Some pictorial tools are used in this report for analyzing the collected data and to classifying those to interpret them in a clear and understanding manner. Findings of the study: The collected data were scrutinized and were pointed out and shown as findings. Few recommendations are made for improvement of the current situation. Final report preparation: on the basis of the suggestion of the supervisor, some correction was made to present the paper in this form. 1. Personal biasness of the officers at the time of collecting primary data. 3. Due to confidentiality the garments policy restricts disclosing some important data. The domestic market for readymade garment, excepting children and men’s knit underwear (genji) was virtually non existent in Bangladesh until the sixties. Large scale production of readymade garments (RMG)in organized factories is a relatively new phenomenon in Bangladesh. Until early sixties, individual tailors made garments as per specifications provided by individual customers who supplied the fabrics. Since the late 1970s, the RMG (ready made garments) industry started developing in Bangladesh primarily as an export-oriented industry although, the domestic market for RMG has been increasing fast due to increase in personal disposable income and change in life style. The sector rapidly attained high importance in terms of employment, foreign exchange earnings and its contribution to GDP. In 1999, the industry employed directly more than 1.4 million workers, about 80% of whom were female. With the growth of RMG industry, linkage industries supplying fabrics, yarns, accessories, packaging materials, etc. have also expanded. In addition, demand for service like transportation, banking, shipping and insurance has increased. All these have created additional employment. The total indirect employment created by the RMG industry in Bangladesh is estimated to be some 200, 00 workers. In addition to economic contribution, the expansion of the RMG industry has caused noticeable social changes by bringing more than 1.12 million women into labor force. The economic empowerment of these working girls/women has changed their status in the family. The attractive opportunity of employment has changed the traditional patriarchal hegemony of the fathers, brothers and husbands. Most working girls/women can now choose when to get married or become mothers. The number of early marriages is decreasing; so is the birth rate and the working girls tend to senf their little bothers and sisters to school, as a result, the literacy rate is increasing. They can participate in family decision making. Most importantly, the growth of RMG sector produced a group of entrepreneurs who have created a strong private sector. Of these entrepreneurs, a sizeable number is female. Many woman hold top executive position in RMG industry. Till the end of 1982, there were only 47 garment manufacturing units. The breakthrough occurred in 1984-85, when the number of garment factories increased to 587. the number of RMG factory shot up to around 2,900 in 1999. Bangladesh is now one of the 12 largest apparel exporters of the world, the sixth largest supplier in the US market and the fifth largest supplier of T-shirts in the EU market. The industry has grown during the1990 rough at the rate of 22% in the past, until 1980, jute and jute goods topped the list of merchandises exported form Bangladesh and contributed mire than 50% of the total export earnings. By late 1980s, RMG export replaced jute goods and became one in terms of exports. In 1983-84, RMG export earned only $0.9 billion, which was 3.89%of the total earnings of Bangladesh. In 1998-99, the export earnings of the RMG sector were $5.51billion, which was 75.67% of the total export earnings of the country. The net foreign exchange were, however, only about 30% of the figures quoted above because approximately 70%og foreign exchange earned were spent in importing the raw materials and accessories to produce the garments exported. Both external and internal factors contributed to the phenomenal growth of RMG sector, one external factor was the application of the GATT- approved Multifibre arrangement (MFA)which accelerated international relocation of garments production. Under MFA, large importers of RMG like USA and Canada imposed quota restrictions, which limited export of apparels form countries like Hong kong, Singapore, Taiwan, Thailand, Malaysia, Indonesia, Sri Lanka and India to USA and Canada. On the other hand, application of MFA worked as a blessing for Bangladesh. As a least developed country, Bangladesh received preferential treatment from the USA and European union (EU). Initially Bangladesh was granted quota-free status. To maintain competitive edge in the world markets, the traditionally large suppliers/producers of apparels followed a strategy of relicating RMG factories in countries which were free from quota restrictions and at the same time had enough trainable cheap labour . They found Bangladesh as a promising country. So RMG industry grew in Bangladesh. By 1985, Bangladesh emerged as a strong apparel supplier and became a powerful competitor for traditional suppliers in the US, Canadian and European markets. Since 1986, Bangladesh has been increasingly subjected to quota restrictions by USA and Canada. RMG industry suffered setback in a number of country in the 1980s. Some countries had internal problem, such as Sri Lanka; and some other countries of Southeast Asia experienced rapid increase in labour cost. Buyers looked for alternative sources. Bangladesh was an ideal one as it had both cheap labour and large export quotas. The EU continued to grant Bangladesh quota-free status and GSP privileges. In addition, USA and Canada allocated substantially large quotas to Bangladesh. These privileges guaranteed Bangladesh assured markets for its garments in USA, Canada and EU. The domestic factor that contributed to the growth of RMG industry was the comparative advantage Bangladesh enjoyed in garment production because of low labour. The domestic policies of the government contributed to the rapid growth of this sector. The government provided various kinds of incentives such as duty-free import of fabrics under back-to back L/C, bonded warehouse facilities, concessionary rates of interest, cash export incentive, export processing zone facilities, etc. the government also took a number of pragmatic steps to streamline export-import formalities. Bangladesh exports a very limited categories of products. The factories in Bangladesh produce shirts, jackets, trousers, and other garments, with high concentration (about 60% of the total apparel exports) in the export of shirts of low price. Bangladesh is the largest exporter of men’s and boy’s cotton shirts in the US market. In this market, it competes with India, Sri Lanka, Mexico and other central American countries in the lower price segment. The average price of Bangladesh-made shirts was $62.74 per dozen in 1998. this price was the second lowest. The Dominican republic sold the lowest priced shirts of the same category at $540.79 per dozen. Price of India, Mexican and Sri Lankan shirt were $81.04,$76.26 and $74.77 respectively. Against this, the prices of Hong Kong and Malaysia shirts were$107.34 and $134.08 respectively. Exporters from Bangladesh produce mostly those items on which quotas are available. However, there are a few exceptions. Some south Korean firms operating from export processing zones of Dhaka and Chittagong export padded jacket and trousers of higher value. Many firms now export some non-quota items as well. The share of such items in the total quantity, however, is very small. Recently, export of knitwear and sweaters has increased faster than that of woven wears. These indicate that Bangladesh is actively engaged in the process of product Diversification. Although Bangladesh export garments to some 30 counties, its exports are highly concentrated in two major markets, the USA as the largest importer country imported 43.24%of total garments exported from Bangladesh in 1998-99. Bangladesh was the sixth largest supplier of apparels in the US markets in the same year. However if European union is considered as a single market, the US market becomes the second largest. Bangladesh exported 52.38% of its apparel exports to the EU in 1998-99. the EU is the single most important destination of knitwear export from Bangladesh. Of the individual members of the EU, Germany is the largest importer of both woven RMG(15.6%)and knitwear’s (14.8%)from Bangladesh and it is followed by the UK and France. The EU as a bloc has been importing from Bangladesh an increasing quantity of apparels. In the last five years Bangladesh’s exports to the EU have grown by 174%. The main reason for this phenomenal growth is the almost duty free (due to GSP privileges) quota-free access to this market. Other export markets are small. Japan and ASEAN countries are potentially large markets. Bangladesh has not yet been able to export sizeable quantity of apparels to Japan, although it imports about 90% of the machinery from Japan to run the apparels industry. Similarly, Bangladesh has not been able to have market access to ASEAN, or Indian markets although it import a huge quantity of fabrics and yarn from these countries. The main reasons for this are the tariff and non-tariff barriers Bangladesh faces in these markets. Recently, Bangladesh has started exporting to India, south korea and other new markets. As a member of south asian association of regional cooperation SAARC, Bangladesh has undertaken an elaborate program to increase apparel exports to India and other member countries of SAARC. Tm Fashions Limited is an 100% export oriented Radymade Garments industry for production of fashionable and quality all kinds of woven bottoms. The Factory is located at Gazipur. With a total area of 60,000S.Q.FT. for its Manufacturing division. Tm Fashions Limited is a manufacturer of different kinds of woven Product such as ……………………………….etc. The factory is fully equipped with brand new highly sophisticated Machineries conforming to the European & Italy standards and the products already earned very good reputation in the international market for its quality durability. Our expert trained professionals are working for its effective & efficient Management. We practice Total Quality Management Systems. Cutting Production Area: 4680 SQFT. Sewing Production Area: 42694 SQFT. Finishing Production Area: 10,450 SQFT. Ware house & Store Area: 2176 SQFT. Our mission is to produce top-quality garments that models fair business practices and respects workers rights. Firmly establish TM Designers Ltd. as a factory that is capable of handling any complete package of garments manufacturing. This production would include multi-style options, quality products and on-time delivery with competitive price. Implement the production capacity that places 2, 00,000 pieces of garments per month in U.S. and Europe. FIRST-AID BOXES WITH ADEQUATE SUPPLIES. ADEQUATE NO. OF MALE & FEMALE TOILETS. 100% CAPTIVE POWER GENERATION OF 3.96 MEGA WATT AND RO WATER TREATMENT PLANT. DESIGNED TO COMPLY TO ALL SAFETY & SECURITY REQUIREMENTS. STAFFED SECURITY GUARDS FOR 24 HOURS. Quality electrical cable with Mitsubishi circuit breakers used in MDBs & SDBs . Sufficient Tube Lights are provided in all the working areas. Factory premises are always kept neat & clean. MACHINERIES TO PRODUCE 7500 GARMENTS PER DAY. HOUSE EMBROIDERY & PRINTING FACILITY. INTREGRATED HRMS SOFTWARE WITH EFFICIENCY MONITORING SYSTEM. 00 ASSOCIATED COMPANIES 1. SAFWAN APPARELS LTD.
03 BANK NAME & ADDRESS AL- ARAFAH ISLAMI BANK LTD.DILKUSHA BRANCH. & BANK ASIA LTD. BASUNDHARA BRANCH. 07 PRODUCTION PROCESS CUTTING, EMBROIDERY, PRINTING, SEWING, WASHING, FINISHING & PACKING. Child labour is a curse. We not only abide by but also strongly maintain and appreciate this international slogan. We do not have any child labor. Store is liable to keep all Accessories & Raw-material before production. Especially it keeps Button, Fabric, label, hang tag, thread etc. CUTTING DEPARTMENT OF TM DESIGNERS LTD: In perfect condition. Given the competitive nature of the garments industry TM Designers Limited has been making every effort to find ways to consolidate these relationships with the apparels buyers. SEWING DEPARTMENT OF TM DESIGNERS LTD: In Perfect Condition. Our knowledge of fabric and accessory suppliers across Asia is second to none. Since 2009, we have developed a sizeable database of the best suppliers in terms of quality, price and consistency based on our own interactions with them. Our “preferred supplier” list can cater to the vast majority of our customers’ requirements and we are always looking to add new suppliers to our list. From our customer’s perspective, our relationship with our suppliers is a key advantage as we are in a strong position in terms of negotiating prices and delivery schedules. Whilst the nature of the garment tends to dictate the production process that we utilize, we are always trying to work with factories to improve processes. We have considerable expertise and know-how in fabric development, dyeing, testing, printing, washing and stitching across all fabric types. We tend to work very closely with factories in the sampling process and ensure a high level of quality control in all stages of production thereafter. This format has served both us and our customers very well in the past, and, of course is a process that we continuously refine. 1. Pant : Single jersey, interlock, lycra jersey. 4. Trousers/short : Denim, Casual cargo and Work wear in 100% cotton and 65/35 Polyester cotton. Our customers stem from several different sectors and cater to a diverse set of end-users. This has provided us with a significant understanding of how different customers operate as well as the key factors that are important to different customers. Many of our customers, when they first start their relationship with TM Fashion our quality assurance services. In this capacity, we are employed as a third-party to ensure that garments produced for our customer by their appointed factories meet the customer’s quality standards. In the vast majority of cases, customers that have utilized our quality controlled services have eventually outsourced their production to us as well. To maintain efficient communication, TM Fashion adheres to certain practices that it has found to provide effective results. TM Fashion Point of Contact for Customers: all customers are allocated a merchandiser (or account manager) who is responsible for all aspects of your order, from arranging the sampling to the final delivery of goods. Customers can therefore rest assured that whatever information they need, whether its about documentation, production or delivery, their merchandiser will be able to provide it instantly. (Customers are also able to contact several other individuals within Signet, whether in London or in Dhaka). Regular Factory Visits: all merchandisers and quality controllers visit factories where TM Fashion production is being carried out. In the case of the latter, quality controllers are required to maintain a constant presence at the factory, to ensure that each stage of the production is meeting Signet’s standards. In the case of the former, Signet’s merchandisers meet factory owners to ensure that timely production of goods is maintained. Co-coordinating our supply chain in the production process is central to our strategy for timely delivery. After placing an order at a factory, we ensure that all accessories are ordered and delivered at the correct times so that production downtime is limited. We also ensure that road haulers and shipping companies are booked well in advance to ensure that timely delivery to the customer’s destination port is achieved. Factories: All factories are audited before being utilized to ensure that they meet minimum criteria with regards quality of output and timeliness of delivery. In the vast majority of factories utilized by Signet, a strong working relationship and understanding has already been established, ensuring that they adhere to our quality requirements. Our supplier relationships are key in enabling us to deliver a strong performance to our customers. We have developed strong relationships with over 150 factories and accessory suppliers in Asia; their combined capabilities cover a wide spectrum of products, enabling us to service a wide variety of customers. These factories have several common characteristics which meet our core values of high quality, competitive pricing and consistent performance. In addition, we are always looking to add suitable suppliers to our portfolio. (i) Assessing: Assessing compliance level of factories. (ii) Enabling: Assisting factories to reach compliance standard. (iii) Updating: Updating factories on new compliance measures that are introduced. (v) Maintaining: Ensure that compliance level s with in production factories meet the customer requirements. Our Hospitality department will organize all accommodation and internal travel for customers who visit us from abroad. Government is sincerely committed to fostering a gradual development of free market economy in the light of GATT agreement. In the interest of export promotion & investment in the country it is necessary to have a long term, stable, facultative & liberal Import Policy. With this and in view the present democratic government has taken steps to extend the duration of the Import Policy from two years to five years. Efforts have been made to make the Import Policy easier and more liberal by relaxing or rescinding the regulatory provisions of the previous Import Policy. Provisions have already been made to allow import of capital machinery and industrial raw materials on consignment basis without the cover of the Letter of Credit. Government has taken steps for quality control in the import of cement, fertilizer etc. In order to protect the interest of the consumers. Steps are afoot to ensure that in future all imported consumer items conform to a specified standard of quality. In the present Import Policy Order second hand/reconditioned machinery are importable subject to fulfillment of certain conditions. Gradually efforts will be made to classify those machinery under H.S. Code. (c) “Act” means the Imports and Exports (Control) Act, 1950 (XXXIX of 1950). (k) “Actual user” means a person, group of persons, institution body or organization, other than registered importers, who may import a permissible item, not being an industrial raw material requiring further processing item, not being an industrial raw material requiring further processing before being used or consumed, in limited quantity for his or its own use or consumption and not for sale or transfer. (2) All other terms used in this order which have not been defined shall have the same meaning as assigned to them in the Act and the Order issued thereunder. (c) To ensure growth of the indigenous industry and availability of high quality goods to the consumers at a reasonable price. Achievement of the aforesaid objectives will depend on the help and cooperation of other relevant Ministries, Divisions of the Government and the Trade Organizations in the private Sector. (f) Conditions of Ban and Restriction: If the import of an item had been banned at any time before the coming into effect of this Order or if such ban has been made effective by virtue of the placement of the item in the control list annexed to this Order such ban such shall be subject to the following conditions. (i) The concerned sponsoring authority/Tariff commission shall strictly monitor production of the industrial unit which is being afforded protection by the ban. The ban may be revoked on the recommendation of the concerned sponsoring authority/Tariff Commission if the quality of products deteriorates and the price of the product is not maintained at satisfactory level or if production level fails leaving unutilized capacity. Such of the protected units as are now primarily engaged in assembly type activities shall actively and expeditiously move towards progressive manufacture. (ii) The sponsoring authority concerned and Tariff Commission shall continuously monitor the prices of the items covered by such ban to guard against undue increase of price. If the price of any item is increased except for factors like rise in the price of raw materials or decline in the rate of exchange or if the increase in the price of the item is disproportionately higher compared ot the rise in the price of the raw material, the ban may be revoked on the recommendation of Tariff Commission/sponsoring authority. (iii) Whoever feels aggrieved by any decision regarding ban or restriction on import of any item can represent his case to the Tariff Commission. The Tariff Commission will duly examine such a representation and furnish as early as possible its recommendation (s) to the Ministry of Commerce for latter’s consideration. (1) Import Trade Control schedule Numbers. For import purpose, use of new ITC Numbers (H. S. Code) with at least six digits corresponding to the classification of goods as given in the Import Trade Control Schedule 1988, based on the Harmonized Commodity Description and coding System, shall be mandatory. But in cases where a particular item has been classified under an H. S. Code Number with more than six digits, in those cases it shall be mandatory to use that specific Code Number (having more than six digits). The seven Digit H. S. Code published by Bangladesh Bureau of Statistics may also be mentioned in the L. C. A. From, L/C and other relevant paper within a bracket in addition to normal H. S. Code as mentioned above. No bank shall issue L. C. Authorization from or open L/C without properly mentioning I.T.C. number (H. S. Code) thereon. (2) NOC On the basis of ROR (Right of Refusal) – (a) No Objection Certificate on the basis of Right of Refusal (ROR) from any authority shall not be required for import of nay freely importable item by any Public Sector agency. However, in cases where a public sector agency is required to import banned/restricted items included in the Control List Prior permission of the Ministry of Commerce shall have to be obtained on the basis of ROR issued by the Ministry of Industries or by the Sponsoring Ministry/Division, or by both as the case may be. (b) In case of import of banned/restricted items for approved projects financed under foreign aid the concerned Government Department/Agency will approach the Chief Controller of Imports and Exports directly for necessary permission together with a list of items duly certified under proper seal and signature giving description, quantity/number, price and H. S. Code Number against each item required to be imported. The details about the aided project and specific provision of the relevant contract and other necessary information shall also have to be furnished along with the list of items. The chief Controller shall issue permission/permit on the basis of above documents. (a) Goods from Israel or goods originating from that country shall not be importable. Goods shall also not be importable in the flag vessels of that country. (b) All kinds of import from and export to Serbia and Montenigro, fragments of former Socialist Republic of Yugoslavia, shall be banned. Unless otherwise specified, pre-shipment inspection of imported goods shall not be obligatory in case of import by the private sector importers. (2) Import of goods on the basis of specific agreements which provide for C & F contract. In all other cases a certificate of waiver shall be obtained from the Director General of Shipping for importation of goods in non-Bangladeshi flag vessels. If there appears to be no possibility of any Bangladeshi flag vessels, Visiting a port within next seven day, waiver shall be given within twenty-four hours of application for waiver. Otherwise, it will be considered that waiver has been given. However, the preceding condition of compulsory shipment of goods on Bangladeshi flag vessels, or the condition of obtaining certificates of waiver form the Director General of Shipping shall not apply in cases of import under such foreign aids, loans or grants which contain specific provisions regarding shipment of goods. (b) In case of import and export of goods by export oriented industries, shipment may be made in non-Bangladeshi flag vessels. (a) Import shall be made at the most competitive rate and the importers may be required, at any time, to submit documents regarding the price paid or to be paid by them. (b) In case of import under United Commodity Aid in the private sector, goods shall be imported at the most competitive rate by obtaining quotations from a minimum three-suppliers/indentors representing at least two countries abroad. This condition shall, however, not apply for opening of L/C up to TK. One lac. For import at the most competitive rate by the Public sector importers the conditions mentioned at para 27(8) of this Order shall apply. All imports by sea, air and land route shall be made either on C & F or FOB basis. However in case of import on FOB basis the concerned importer shall have to properly comply with the circular issued by Bangladesh Bank in this regard. Before opening of L/C necessary insurance cover note shall have to be purchased from the Sadharan Bima Corporation or any other Bangladesh insurance company. Unless there is specific provision in the relevant loan agreement/project agreement concluded with the foreign donors for import on CIF basis, no import shall be allowed on CIF basis without prior approval from the Ministry of Commerce. However, Bangladesh nationals, living abroad, for sending goods against their earned foreign exchange and foreign investors, for sending capital machinery & raw materials against their equity share portion shall be allowed on CIF basis. (a) Import by mentioning “country of origin” – In all cases of import, “country of origin” shall be mentioned clearly on goods package/container. A certificate regarding “country of origin” issued by the concerned Government agency/approved authority/organization of the exporting country must be submitted, along with import documents to the customs Authority at the time of release of gods. However, the provisions of “country or origin” shall not be applicable to coal and export oriented garments industries. In case of cotton import it shall not be required to mention country of origin on each bale. But “country of origin” shall be mentioned in the photo sanitary certificate. Besides, 100% export oriented industries, which are recognized by the Customs Authority, shall be waived from the restriction of “country of origin” subject to the conditions imposed by the Foreign Exchange Regulation Act. bangladesh Bank and Commercial banks. (b) Incase of import of Limestone, in different consignments/lot by the rope-way or by river, as raw materials for Chaotic Cement Factory, “country of origin” certificate from the exporting country’s Government / authority / organization shall be submitted once to the Customs authority at the time of release of goods, instead of each consignment/lot for the quantity mentioned in L/C in case of river way and as per supplied carrying list in case of rope-way. (c) Commodity exchange : Barter and special trading arrangement (STA); this source shall be abolished as and when present agreements expire. (2) Commercial importers and industrial consumes may utilize their respective shares under Barter/STA as per basis notified. (3) Import under the Special Trading Arrangements (STA) which are or were concluded with prior approval/permission of the government, shall be subject to the specific procedures laid down by the government in this respect. (4) The provision of this para will remain effective only upto the time of completion of on going agreements. Unless otherwise specified the importers shall import primarily against cash foreign exchange. (1) Import Licenec required : TM Fashion has import Licenec will be necessary for import of any item but it is not needed to import goods. (L/Cs, bank drafts, remittances etc.) shall require LCA forms irrespective of the source of finance. (3) Import against L/C : Unless otherwise specified, import shall be made only be opening irrevocable letter of credit (L/C). However, L/C is not required for import of each consignment, by road, of easily perishable item bolded from US$ five thousand to Seven thousand five hundred and for import of capital machinery & raw materials for industrial use without any price limit. Existing conditions regarding import on deferred payment under L/C shall be applicable in this case also and importers shall be required to register with Bangladesh Bank for importation without L/C. (b) Import of any permissible item for an amount not exceeding US Dollar Five thousand only during each financial year against remittance made from Bangladesh. However, permissible item valued upto US Dollar Five thousand in a single consignment from Myanmar shall be importable without opening L/C and in that case above mentioned annual ceiling of US Dollar five thousand shall not be applicable. (d) Import of “International Chemical References “through Bank drafts by recognized pharmaceutical (allopathic) industry on the approval of Director, Drugs Administrators for the purpose of quality control of their products. (5) Import against Import Permits and in special cases against Clearance Permit (for clearance of goods on payment of fine) : In the following cases, neither LCA Form non opening of L/C will be necessary; but Import Permit (IP) or Clearance Permit. (b) Import under pay – As – You – Lean – Scheme in the following cases only on the basis of clearance of the Bangladesh Bank. (v) Trawlers and other fishing vessels, either new or not exceeding twenty years old. – For import under this scheme the sanctioning authority of such import shall forward a copy of sanction letter to the Chief Controller and the importers shall apply to the CCI & E along with necessary paper for prior permission. Basically TM Fashion allows back to back LC to import accessories from abroad. Subject to restriction and prohibitions contained in this order, import on differed payment basis or against Suppliers, Credit may be allowed by TM Fashion on the basis of procedure laid down by the Bangladesh Bank in this behalf. Only Bangladeshi nationals living abroad may send may importable item irrespective of value ceiling against direct payment abroad in the name of any Bangladeshi living in Bangladesh. The name and address of the consignee shall be mentioned in the import documents. For such import, no permission or import permit from the Import Control Authority shall be necessary. Unless otherwise specified, for import under cash foreign exchange, letter of credit shall be opened by all importers within one hundred and fifty days from the date of its issue or from the date of its registration. The above time limit may be extended upto such time as deemed fit by the Chief Controller. For import under foreign aid/grant and barter/STA. L/C shall be opened within the time limit as may be notified by the Chief Controller. (5) EPZ Authority shall prepare a list of items (on the basis of N. O.C. from the NBR) required to be bought from the Bangladesh Customs area for use in the EPZ area and get the same approved by the Ministry of Commerce. Any correction in, or amendment to the said list may be made in accordance with the same procedure. The industrial units situated in the EPZ area shall pay in convertible currency, out of their own foreign currency accounts the cost of goods bought from the Bangladesh Customs area as per the said list EPZ Authority shall issue Pass Books in favour of industrial units situated in the EPZ area indicating therein the amount in Taka up to which goods can be procured locally on a yearly, half yearly or quarterly basis. The EPZ Authority shall determine the proforma of the aforesaid Pass Books and the requisite accounting system in consultation with the Customs Authority at Chittagong. When the value ceiling mentioned in the Pass Books will be exhausted the EPZ Authority may endorse a fresh value ceiling in the same Pass Book or issue a new Pass Book. (6) EPZ Authority shall issue necessary “In-Pass” and “Out-Pass” for the machinery and equipment which are required to be brought out of the EPZ area for the purpose of repair. On the basis of such Passes the Customs Authority, after making necessary entries in appropriate register, shall allow movement of machinery and equipment out of the EPZ area for the purpose of repair and into the EPZ area after repair. However the documentation and accounting procedure for such out war and inward movement of machinery and equipment shall be determined by the EPZ Authority in consultation with the Customs Authority at Chittagong. Increased production and massive expansion of commerce is one of the main means of local resource generation. Employment opportunities can be created in a populous country like ours with the promotion of export. This employment will pave the way for increased savings and investment, ensure capital flow, solve unemployment problems and eradicate poverty. In the field of commerce the main task of the government is to make Bangladesh economy strong and dynamic enabling it to face the challenges of rapidly changing world trade system. Currently the readymade garments (RMG) sector contributes two thirds of the Bangladesh’s total export earnings. But the market of the readymade garments is limited. The North America and European Union are the main destinations of our export items. Though Japan has a good market of garments, we are yet to actively enter into that market. There is a possibility of major changes of the role of RMG sector in Bangladesh’s export trading from 2005 or in the post MFA era. We need to undertake necessary measures so that the changes become favourable for Bangladesh. There are scopes of thinking more about the necessity of developing backward linkage industries for a massive change in the RMG sector. But the reality suggests that there are scopes to adopt different means regarding backward linkage industries. In that case we will have to change our strategies in increasing the export of our products. Currently Bangladesh’s export trading depends on two products (75 percent RMG and 6 percent frozen food). Such dependence is not expected for any country. So we need to produce new products with higher values, develop the designs and find new markets. Continued efforts are underway to create markets for Bangladeshi products since the present government took over. Already duty free access has been availed for the markets in European Union, Canada, Australia and Norway. Though in limited scale, Bangladeshi products already found their access with lower duty in the markets of Thailand, India and Pakistan. Talks are underway with China, Russia, Malaysia and other neighbouring countries in this regard. A good result is being expected within a short period. But duty free access or special facilities are not everything; rather the use of such advantages is the main concern. national growth could not be achieved resulting in the economic backwardness, which would bar the overall national progress. In order to promote export, scopes should be there to pay prices both under LC and contractual agreements. Besides the existing VAT and duty structures should be made time befitting and realistic. Moreover new products have to be added in the export basket. Adopt new strategies for expanding export products, Garments. Equip trade bodies, businessmen and concerned people with necessary knowledge on systems of world trading. issuing bank request another bank, usually a correspondent bank in seller’s country to advise, and usually to confirm the credit. advising bank, usually in seller’s country, forward latter to credit to seller informing about terms and condition of credit. if credit terms and conditions confirm to sales contract, seller prepare goods and documentation, and arrange delivery of goods to carrier. seller present document evidencing the shipment and draft (bill of exchange) to paying, accepting or negotiating bank named in the credit (the advising bank usually), or any bank willing to negotiate under the terms of credit. Bank, examine the documents and draft for compliance with credit terms. If complied with, seller’s draft is honored. Documents release to buyer draft after payment or on other terms agreed between the bank and buyer. buyer surrenders bill of lading to carrier( ub case if ocean freight) in exchange for the Bank examine the document and draft for compliance with credit terms. If complied with, bank will pay accept or negotiate. bank, if other than issuing bank, send the document and draft to the issuing bank. goods or the delivery order. Income tax exemption for export earning: Under the income tax law other than the owners of factories not registered in Bangladeshi, all exporters will get 50% exemptions in their income taxes. The export-oriented industries will get the advantage of importing 10 percent spare parts of their capital machineries without duty in every two years. (vi) Facilitate in other activities for product and market development. (ii) Import process of raw materials and related products will be made easier under the export promotion fund (EPF). (iv) The proposals for importing capital machineries with soft term loan with lesser interest rate can be considered for export promotion. » The enterprises that export 80 percent of their products will get the facilities given to export- oriented industries. » Reduced plane fare for priority products including vegetables and fruits.Biman will consider measures for reduced plane fare for exporting fruits, vegetables and ornamental plants by air. » Incentives will be given for organizing and participating in international trade fairs, single exhibition and other market development programmes and arranging single country trade fairs jointly by government and non-government organizations. » Every year product-wise Commercially Important persons (CIPs) will be selected on the basis of the exporters’ extra ordinary contributions to export promotion. » National Export Trophy (NET) will be given in recognition of extra ordinary contribution to export. » The Export Credit Guarantee Scheme (ECGS) will be restructured, activated and made efficient. 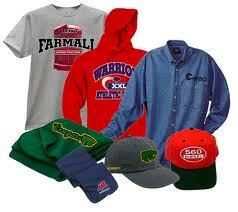 In whole process of export, TM fashion makes and collect some require document which are needed to export goods. Some are made at the time of sales contract and some are after production. The company shipment finished products to carrier with all necessary documents. Certificate of origin and GSP certificate of origin. Full meaning of SWOT is Strength, Weakness, Opportunity and Threats. Strengths and weaknesses are influenced by organizations internal environment and opportunities and threats are influenced by organizations external environment. SWOT analysis provides an opinion and judgment whether an organization’s business condition is healthy or unhealthy. Strength determines how well the company would be able to perform in the light of prevailing resources and competitive condition weaknesses determines lacking or different competitive capabilities in the key functional areas of the company. Opportunity of the company determines company’s important avenues for profitable growth potential utility to sustain in the competitive advantage. Threats determine barriers to companies’ profitability and competitive well being. The management is solely directed to maintain a culture for the betterment of the quality of the service. Employees are sharing good atmosphere in cannon garments Limited. That is why it will give them the inspiration to work efficiently. The top level management is very strong. They can take decision on time and manage all things in systematic way. The labor forces of the company are cheap and readily available. TM Fashions do not have adequate transport facilities. Employee turnover exists because of the dissatisfaction of job in buying house sectors. TM Fashions have planned diversification in product line in order to meet the customer demand for any kind of products. This expansion plan in diversified product would be definitely a positive step to grip competitive advantage and also to raise volume of exports. TM Fashions have emphasized on market segmentation in orders on regular basis. In this way, the company can gain potential market opportunities. TM Fashions has planned to modernize logistic computer support. The best service could be entertained to the foreign buyers. áKey competitors of TM Fashions is offering competitive price than One Desire Design which caused major threats to affect company business policy. Foreign low cost competitors who are investing in the country in this sector are also threats for TM Fashions. TM Fashions is also affected by the govt. regulations of export and import Policy. TM Fashion should take their necessary decisions promptly. It should appoint efficient designer to innovate new ideas of fashion design for sample section. It should introduce new marketing department for establish the marketing plan. It should introduce computer facility for every department. It should provide transport facilities and entertainment allowances. TM Fashions would have to introduce expert research and development unit to maintain operational control. It was a great pleasure for me to work in TM Fashion which provides me a wide range of scope to observe different function of Importing goods in industry through the cordial assistance of the employees and seniors. All the employees of TM Fashion tried to give optimum service. From the learning point of view I can say that I really enjoyed my Project at TM Fashion from the very first day. I am confident that these three months Project program at this buying house will definitely help me to realize my future carrier in the job. Kotler Philip. (2005-2006) “Marketing Management” (Eleventh Edition). Steven, j. skinner. And john M. Ivancevich (2004), Business for the 21stcentury, IRWIN. Inc.